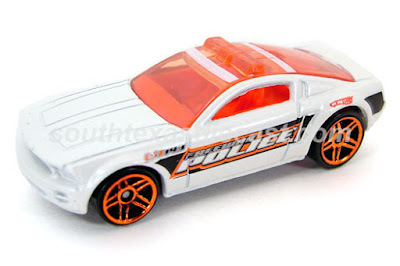 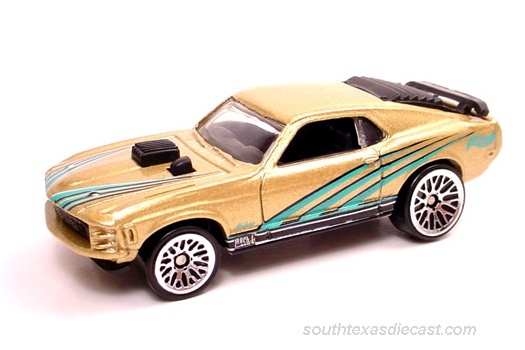 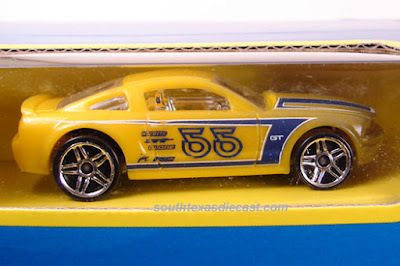 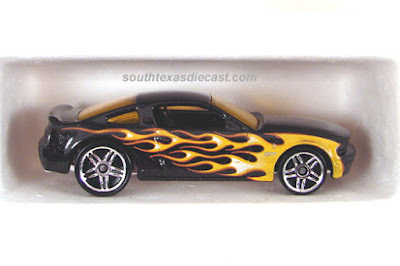 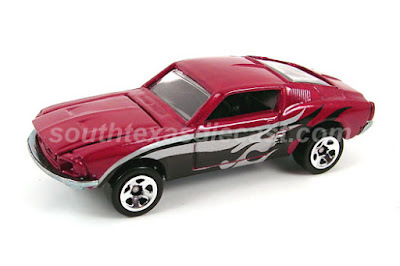 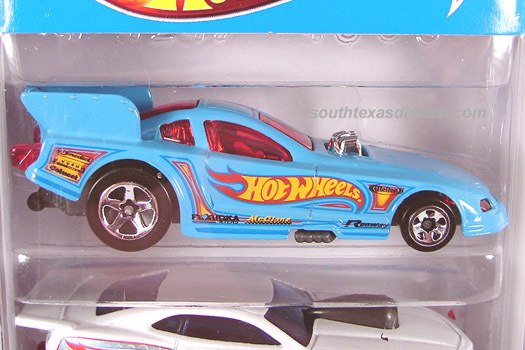 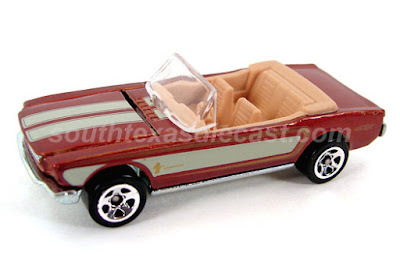 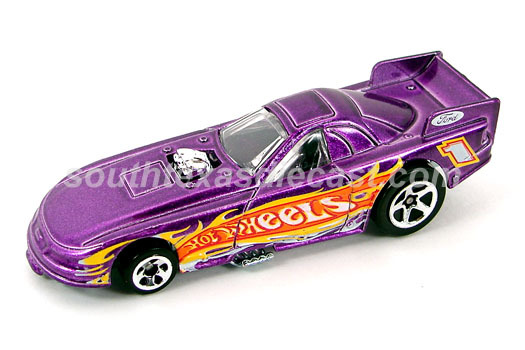 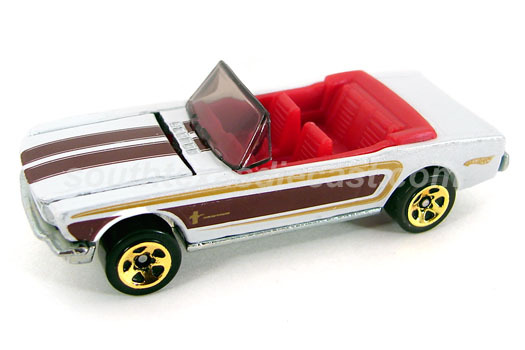 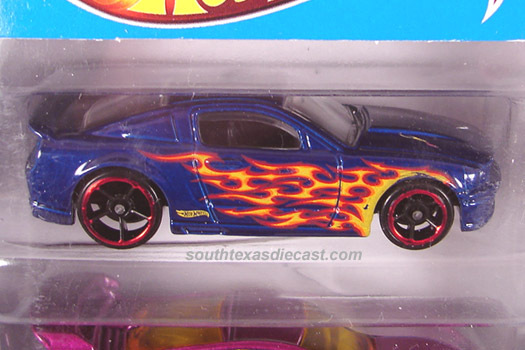 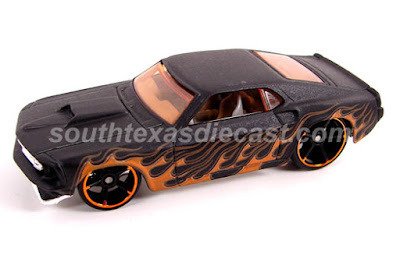 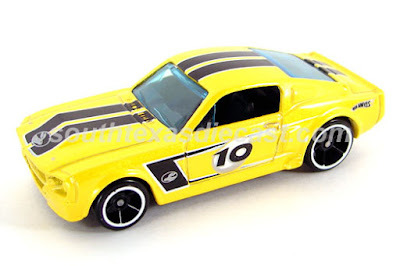 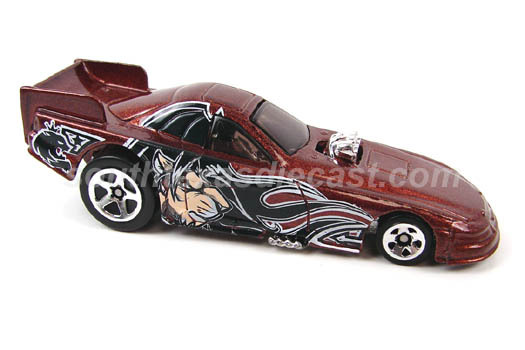 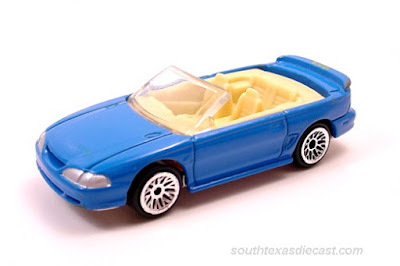 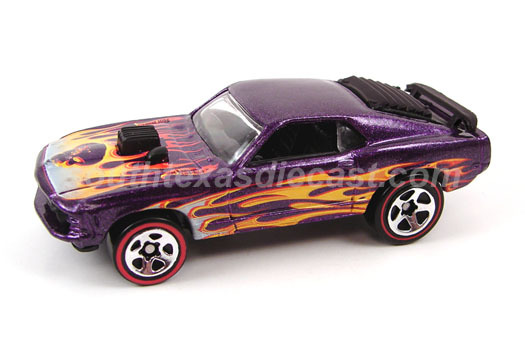 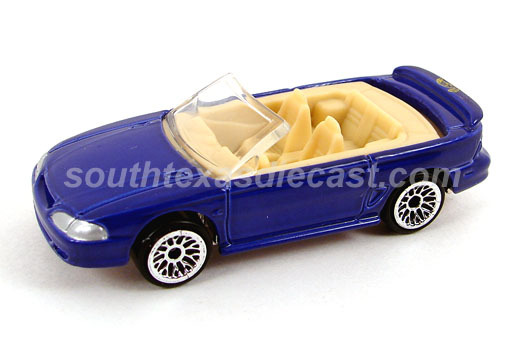 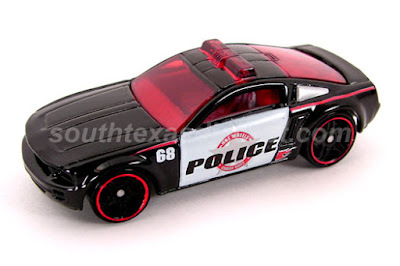 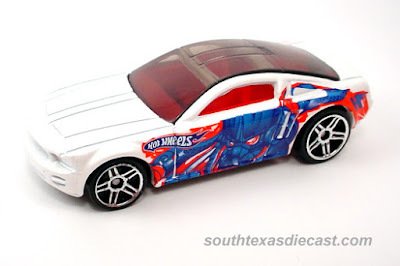 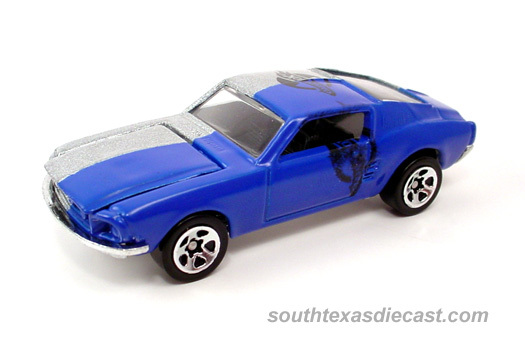 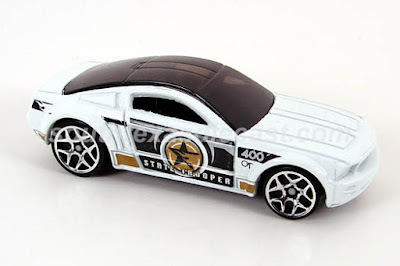 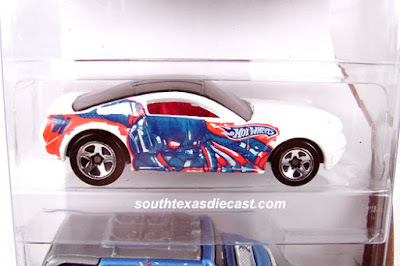 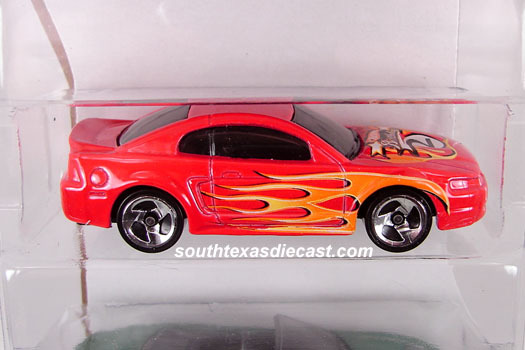 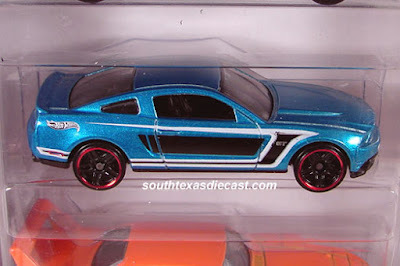 Here you will find any information you are looking for when it comes to Mustang Hot Wheels. Any variation that is found is on this site and with pictures if possible. 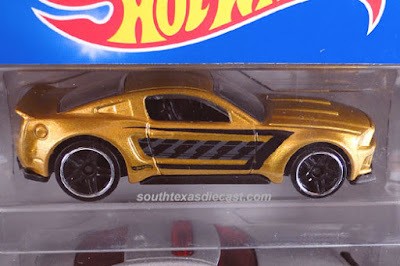 Looking for information about that certain Mustang variation? 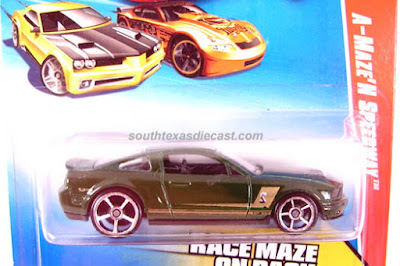 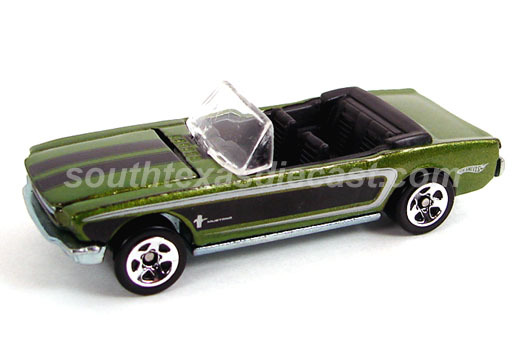 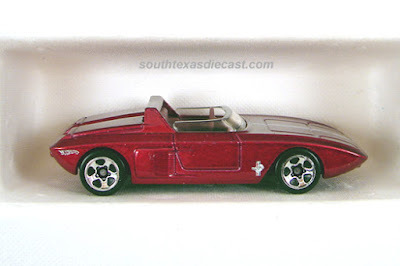 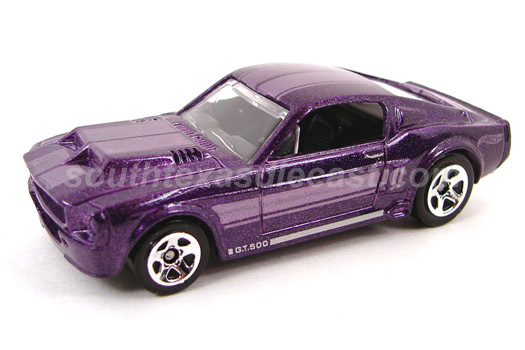 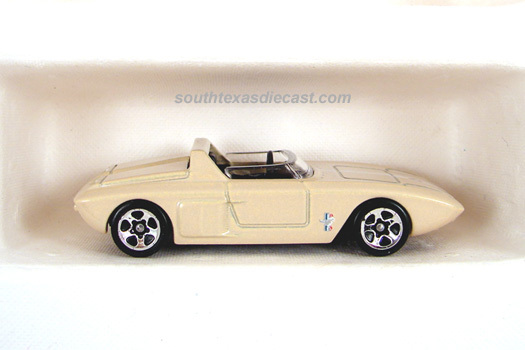 HW Stangs has you covered.This page is constantly updated as new variations are found and as new castings come out. 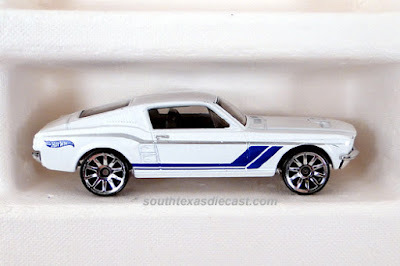 If you have any ideas for the site, they can be sent to the site via e-mail at admin@hwstangs.com. Also if you find a Mustang variation that is not listed on the site, you can e-mail pictures and a description of it to variations@hwstangs.com. Please send pictures of the cars rivets when sending about wheel variations. Be sure to check out the Grana Toys link on the left side of the site, to receive 15% off any Hot Wheels Mustang in their online store! You can also click on the KMJ Diecast logo, at the bottom of the site, to receive 20% off of Hot Wheels Mustangs in their online store! Thanks for checking the page out and I hope you enjoyed it and found the information you were looking for! 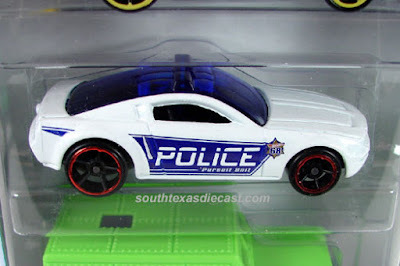 All the support is greatly appreciated! 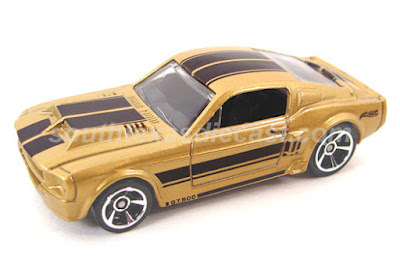 If you have any questions you can always reach me via e-mail at jason@hwstangs.com. 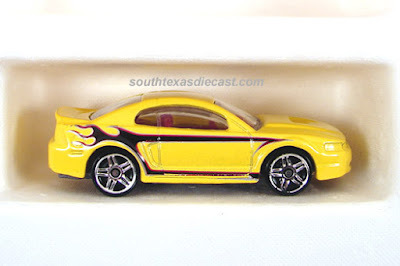 I'm a Hot Wheels Mustang historian. 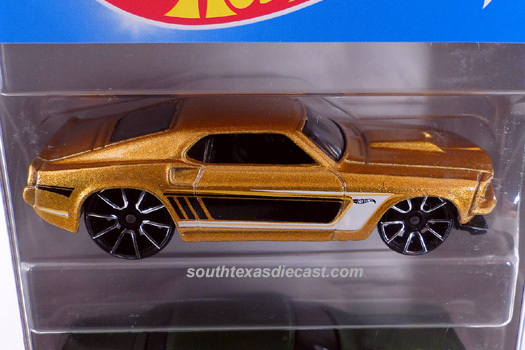 Also be sure to check out HW Stangs article in every issue of the Hot Wheels Newsletter! 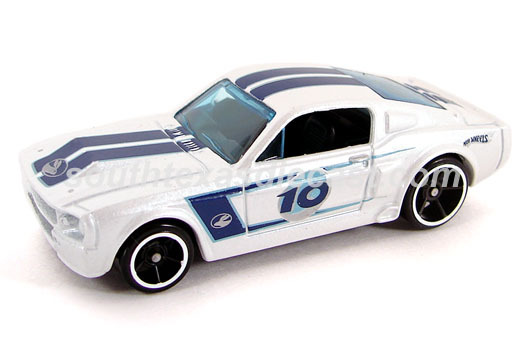 Named a favorite diecast related site among HobbyDB.com employees in 2016! Check out HW Stangs on Instagram! Check out the video HERE from our friend's over on HobbyDB, as they interview Larry Wood, and Bob Rosas! The author of this site get his question answered by ex Hot Wheels designer, Larry Wood! 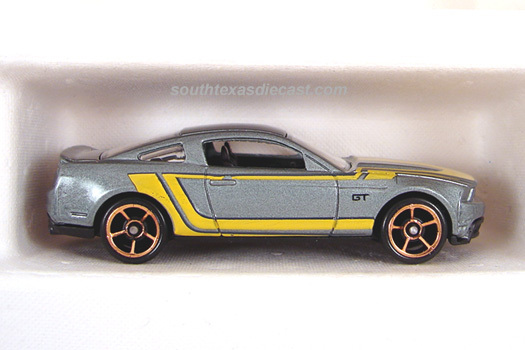 Coming soon to the database! 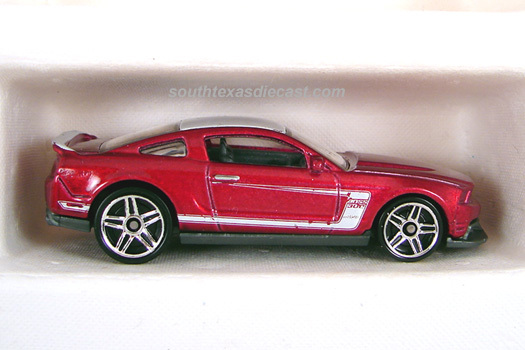 A 180 degree look to show you exactly what the casting looks like! A sample GIF is below. 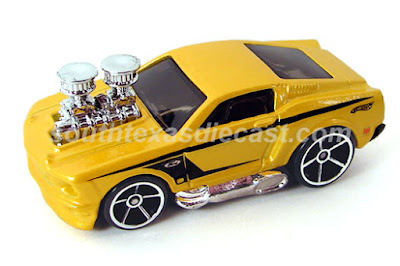 A new parameter wiill be created with a link to the GIF file. HW Stangs has been named a favorite site among the employee's at HobbyDB.com! 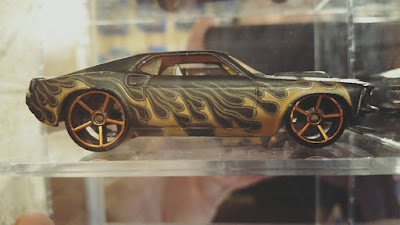 Click the banner to read the article on their site! 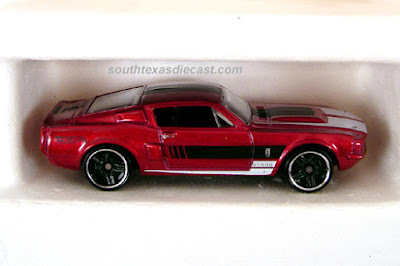 HW Stangs 2016, This site is not associated with Mattel Inc., it's a dedicated hobby site. 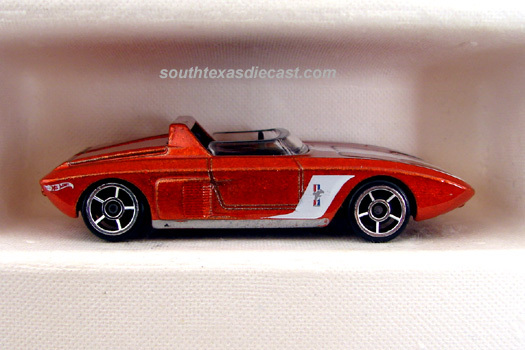 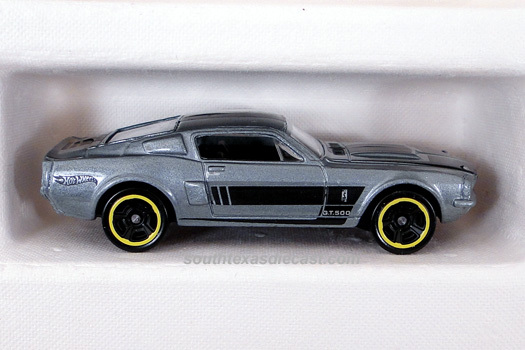 This '68 Shelby was found in 3 packs in 2013. There weren't very many of them found. 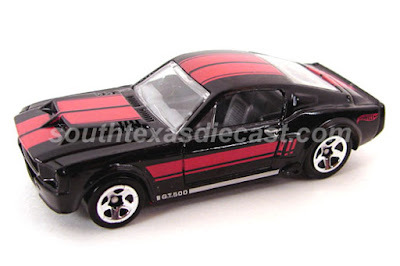 This Shelby could be found with either white and purple or white and brown stripes on the sides. This one has a rare wheel variation, which has OH5 wheels. It's pictured below! 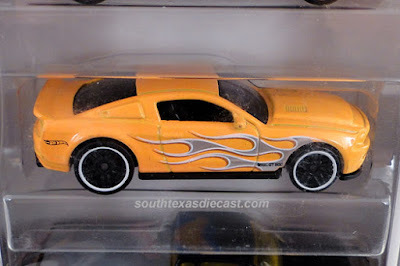 These were found in 2010 Target 2 Packs. 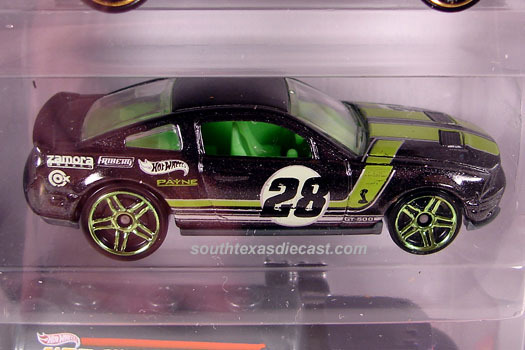 This Mustang had a wheel variation. Was also found with a solid gold OH5 wheel variation. These are Mustang 5 packs that have came out over the years. 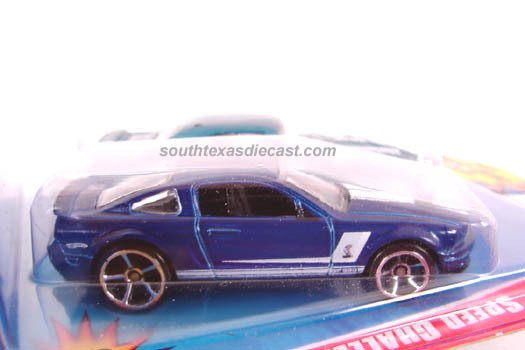 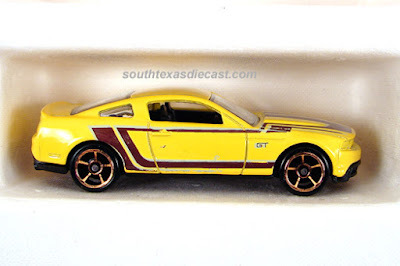 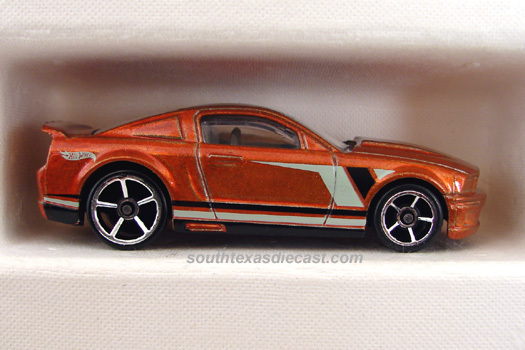 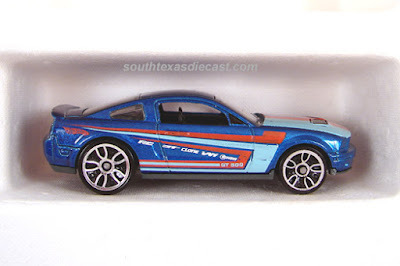 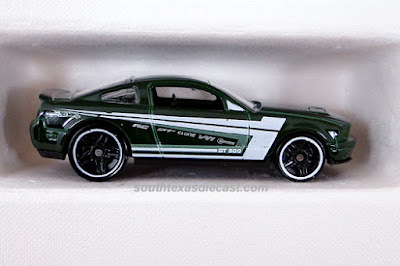 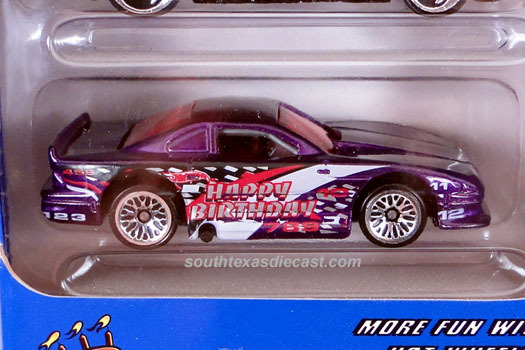 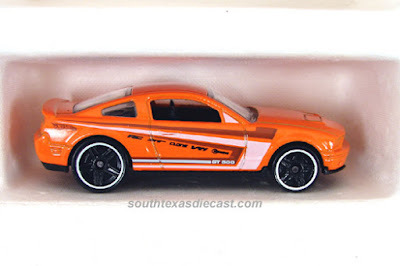 This 5 pack came out in 2007 and included these Mustangs. 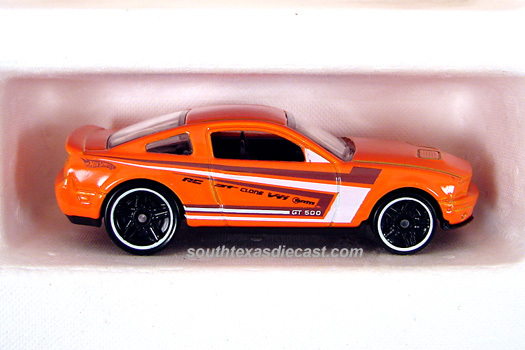 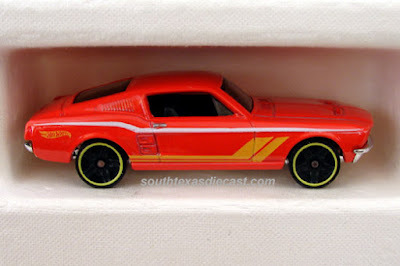 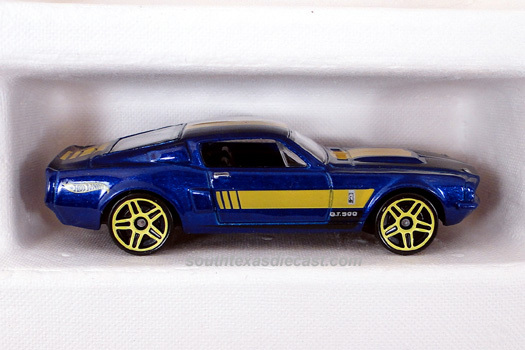 This 5 pack came out in 2009 and included these Mustangs. This 5 pack came out in 2014 and included these Mustangs. 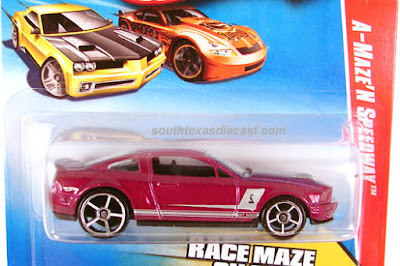 This Mustang received a retooling in this 5 pack. 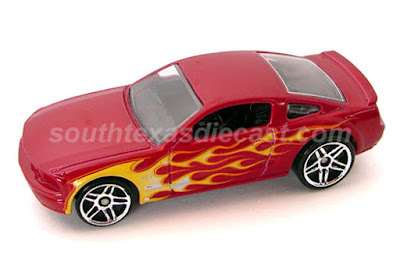 The metal base and opening hood were retooled which did away with the opening hood. 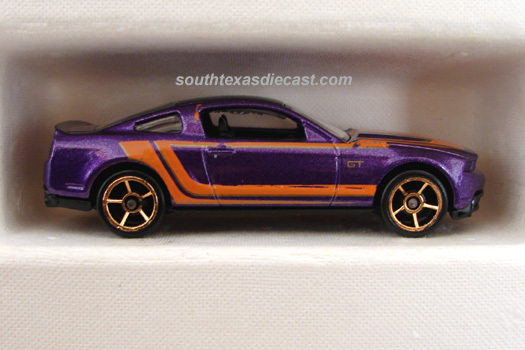 These Mustangs were found in only playsets. 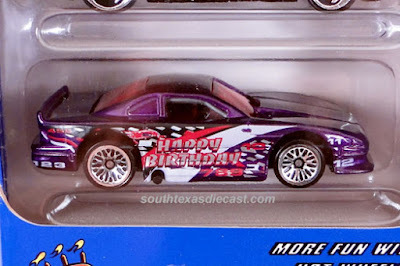 Was also found with an unpainted Thailand base.